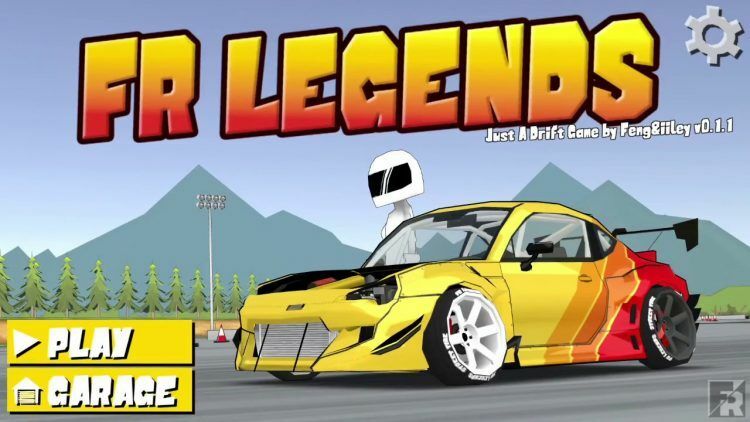 If you are a motorsport fan, FR LEGENDS for PC and mobile is a drift racing game that will test your skills behind the wheel. As of this review, the game only features two competitive modes. In solo runs, you follow the track arrows and drift all the way through the marked section while aiming for clipping points. Alternatively, the battle mode chase run offers a different kind of thrill. You’ll be tailing a lead car and trying to mimic its drift moves without overtaking. At the end of two runs, whoever gets the highest drift score wins. Multiplayer, touge attack, gymkhana, and championship modes will be coming soon. Regardless of how you choose to play, the team at Feng Li designed their game to judge players based on real-world drift racing rules. FR LEGENDS does not disappoint when it comes to car choices. You will get a chance to drift in legendary front-engine, rear-wheel-drive cars on some of the world’s most iconic circuits. There are lots of vehicles to unlock, with each boasting unique HP, engine type, weight, among other specifications. But, what makes this game to really stand out is the customization. You can customize just about everything on your vehicle. If you want your ride to look stunning on the track, give it a new paint job, dope rims, or stylish fender skirts. For more horsepower, simply swap the engine. The car’s axel is also customizable. You can choose to adjust camber angles or the front and rear flanges to improve drift control. Despite its arcade-style shaded visuals, FR LEGENDS for PC and mobile offers excellent drifting simulation. From tire burnout to skid marks, the drift driving animation effects seem very realistic. And, your car can incur visible damage as well if it rams into a wall. Whether it is a fallen bumper or worn out tires, you will pay for repairs using in-game currency to keep your drift car in top shape. Before embarking on a drift session, players get to select a track. You will be able to see the track’s shape on the screen and unlock new ones with money won from previously completed challenges. Choose routes with fewer bends since they will be easier to drift on compared to intricate tracks shapes that have lots of corners. Driving full throttle can be tempting since it will increase your speed score. However, drifting at full speed is not easy. In fact, you are likely to veer off the path and miss the clipping points when driving too fast. Find a speed that you are comfortable with and stick with it to make drifting easier during solo runs. Breaking certain rules will end your run prematurely. For example, you should not let your car to straighten out, drive inversely, or drift in the opposite direction. Observe the rules in order to make each run count for something. FR LEGENDS offers plenty of camera angles to help you find the perfect view while drift driving. Instead of driving in cockpit view, switch the camera angle to get an overhead view. This will provide a better view of the road ahead and improve your overall drifting control.